Gandhigram Rural Institute is located in Dindigul, Tamil Nadu. It was established in 1956. 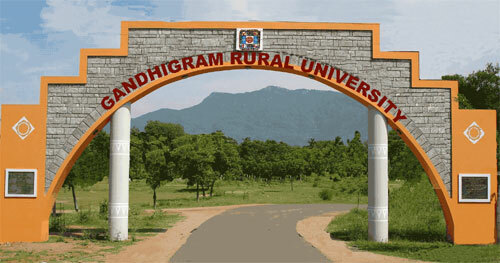 Gandhigram Rural Institute offers various courses under UG, PG, M.Phil. and Ph.D. level. The minimum eligibility in B.Com. and B.B.A. is, the candidate must have passed 10+2 or equivalent. For B.Sc. the candidate must have passed 10+2 or equivalent with the relevant subjects. For B.Tech and B.Tech Lateral Entry, the candidate must have passed 10+2 or equivalent with the relevant subjects with 45% marks. For B.Ed., the candidate must have passed UG/PG with min. 55% marks. Admission to all the UG courses will be merit based. Admission to B.Tech. and B.Tech. Lateral Entry it will be done based on the entrance test. The minimum eligibility for all the courses in PG is, the candidate must have passed bachelor’s in the relevant discipline. For M.Ed., the candidate must have passed any UG/PG with 50% marks in B.Ed. For M.A Integrated, the candidate must have passed 10+2 in any stream. Admission to all the PG courses will be based on the entrance test. Admission to M. Tech. will be done based on the GATE score or the entrance test conducted by GRI. For M.A (Integrated), it will be based on merit followed by counseling. Application forms for all the courses will be available Online. GRI offers B.Com. (Cooperation), B.B.A., B.Sc. with 7 specializations, B.Tech. with 2 specializations and B.Ed. programs under UG. The minimum eligibility in B.Com. and B.B.A. is, the candidate must have passed 10+2 or equivalent. For B.Sc., the candidate must have passed 10+2 with the relevant subjects. For B.Tech. in Civil Engineering, the candidate must have 10+2 with min. 45% marks in PCM subjects. For B.Tech (Lateral Entry) in Civil Engineering the candidate must have passed Diploma in Civil Engineering with 45% marks or the candidate must have passed B. Sc. with 45% marks with Mathematics as one of the subjects. For B.Ed., the candidate must have passed UG/PG in the relevant stream with 55% marks. The admission to B.Com., B.B.A. and B.Sc. will be provided to the candidates on merit basis followed by counseling. The admission to B.Tech. will be provided based on the Entrance Test. Admission to B.Ed. will be provided on merit basis. SC/ST candidates will be given relaxation of 5% in all the courses. GRI college offers PG degree in M.A with 6 specialisations, M.Sc. in 11 specializations, M.Com., M.Tech.,M.B.A.,M.C.A., M.Ed and M.A with 2 specialisations. The minimum eligibility for the candidates seeking admission to M.A is they should have passed Bachelor’s degree in the relevant discipline. For M.Com, the candiatre must have passed B.Com. or BBA or B.Com. (Cooperation) or B.A. 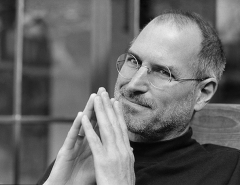 Corporate Secretaryship or Cooperation or Rural Economics or Business Economics or B.Sc. with % marks. For M.Sc the candidate must have passed B.Sc. in the relevant discipline. In M.Tech., the candidate must have passed B.E./B.Tech./AMIE or PG Science with Diploma/Post Diploma in Renewable Energy with min. 55% marks. For M.B.A., the candidate must have passed bachelor’s in any discipline. For M.Ed., the candidate must have passed any UG/PG with 50% marks in B.Ed. For M.A (Integrated), the candidate must have passed 10+2. Admission to all the PG courses will be done based on the Entrance Test. Admission to M. Tech. will be done based on the GATE score or the entrance test conducted by GRI. For M.A (Integrated), it will be based on merit followed by counseling. Microbiology Passed B.Sc. degree with Microbiology / Zoology/ Botany / Biology / Bio-Chemistry / Life Sciences / Bio-Technology / Dairy Science / Food Science. Applied Geology and Geomatics Passed B.Sc. Geology / Applied Geology or its equivalent. Geoinformatics Passed UG degree in Earth and Life Sciences/ UG degree with Maths / Statistics / Business Maths / Computer Applications in 10+2. Textiles and Fashion Design Passed B.Sc. Textiles & Fashion Design / Apparel Design / Costume & Fashion Design / Fashion Designing and other relevant field of specialization / B.Sc. Home Science with textiles and related core / related papers. M.Ed. – Passed any UG/PG with 50% marks in B.Ed. Select the course (UG/PG/Ph.D.) you want to apply to. The application form will get displayed on your screen. Choose the programme for which you want to apply & fill the other required details. Make the payment online through Debit card/Credit card/Net Banking facilities. Take out a hard copy of the form for future reference.